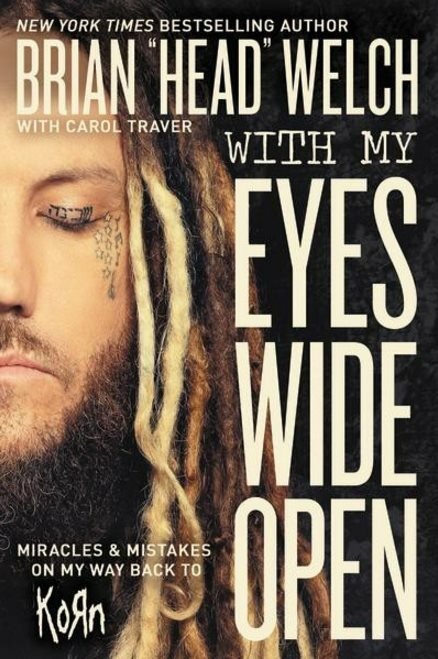 Thomas Nelson has set a May 17 release date for "With My Eyes Wide Open: Miracles And Mistakes On My Way Back To Korn", the new book from KORN guitarist Brian "Head" Welch. In a 2014 interview, Welch stated about "With My Eyes Open": "It's about the eight years that I was away from KORN [between 2005 and 2013] to the road back to KORN. And it's crazy. I'm telling you… I found spirituality and I did have encounters with Christ, but I [spent time] around some wacky people too. And I went through some crazy stuff with, like, court cases, lawsuits… all this crazy stuff, man. So I'm writing about all that…"
"He left KORN to help himself. He went back to help others. And along the way, he nearly lost everything. 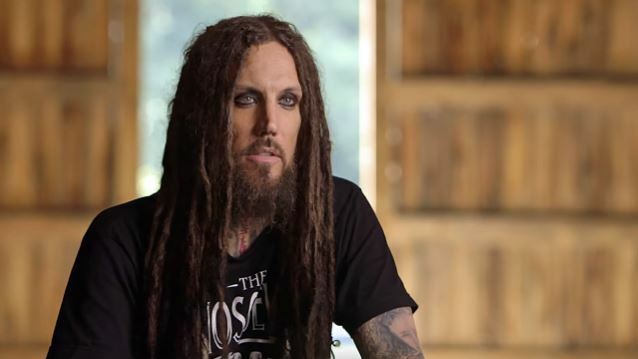 "A life-changing spiritual awakening freed Brian 'Head' Welch from a stranglehold of drugs and alcohol and prompted him to leave the highly successful nu-metal band KORN in 2005. What followed was a decade-long trial by fire, from the perils of fathering a teen lost in depression and self-mutilation to the harsh realities of playing solo and surviving the shattering betrayal of a trusted friend. In this intensely inspiring redemption saga, perhaps most inspiring is Brian’s radical decision to rejoin KORN and reconcile with the tribe of people he once considered family in the metal music scene. "Brian returned to his musical roots with a clear head and a devoted heart. Though his story is wild, hilarious, and deeply poignant, the message is simple: God will love you into the freedom of being yourself, as long as you keep the relationship going and never, ever quit." Welch pursued a solo career for several years before rejoining KORN onstage in 2012 at a festival. He reunited with the group permanently in 2013 and recorded his first album with them in 10 years, "The Paradigm Shift".